GolinHarris has just announced in Romania a significant restructuring of its local agency model giving up its top-down pyramidal structure of communication generalists and praising instead the role of dedicated specialists. Is that clear evidence that the way the PR industry has been structured till now is not sustainable anymore? We believe so. PR has changed from ‘guys that speak to journalists’ to people that create content that can be used across many media channels. We now have community managers, creative directors and web developers working at GolinHarris. The old generalist model is dead. It is surprising how little disruptive innovation has been in the public relations agency business given the amount of change that has taken place especially in social media over the past few years. Why just now this major change? You’re right! We’re shocked by how agencies still try and operate in a pre-digital world. It is very hard for organizations that have been around for so long to change. The PR business is booming, which has probably meant people feeling comfortable with the status quo. What was the main driver of the global restructuring process: fear or opportunity? Both. Al Golin has a saying: “Fix it before it breaks”. GolinHarris is growing faster than ever before and our reputation is at a high – that’s the time to change; when you’re strong. A traditional agency structure forces people to be generalists. Nevertheless, becoming a pure strategist or creative for example may also limit the future career opportunities of employees as the model is not reflective of the rest of the industry and clients prefer to see similarities with skills and responsibilities. How will you explain to future employees the career benefits of the new model? You’ll forgive me if my main concern isn’t how other agencies can steal our staff! You raise a good point though – we want our people to be comfortable that their career will be more rewarding with GH. Our message is simple: if you specialize in something that you love, countless studies show you’ll succeed and have a more enjoyable and rewarding career. Innovation goes beyond commitment and depends on how effectively the execution adapts to reality and on your ability to align people, processes, technology and training in a way that delivers at the end the kind of solutions clients are looking for. What possible "headwinds" do you foresee on this long journey? We did a lot of pre-testing with clients before the launch so hopefully we’ve ironed out any major changes. That said we can only move at a pace that is right for our clients. Some countries will move faster than others. 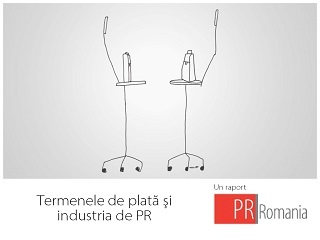 Many clients in Romania still come to PR agencies for their media relations expertise. How do you plan to balance the real needs of the Romanian market with your new personnel portfolio? 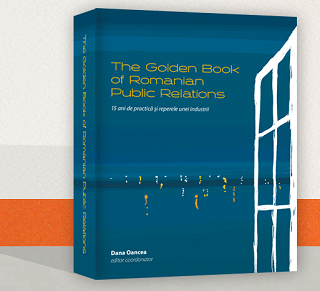 Media relations will always be the bedrock of our business, whether that’s Romania, America or China. We want to build from this base. Clients tell us that they want to work with fewer agencies and there is a real opportunity for PR people to move from earned media into shared, owned and paid. This reorganization will most likely bring profound changes for the agency' largest offices and clients. But what about the smaller offices and accounts? Actually our smaller offices like Romania we see as more agile than some of our bigger offices. We’re connecting our Romanian colleagues to the rest of our network in real ways that clients can benefit from. Take “The Bright Collective” our online ideas creation platform: If you’re sat in Bucharest working on a brief for Orange – you can develop ideas online with creative directors, film makers, artists and bloggers from around the world. That’s pretty cool. Matt Neale, President International GolinHarris, spent 6 years at GolinHarris and 14 with the parent company IPG. He joined as a graduate after sailing across the Indian Ocean. He loves trying to talent-spot bright, straight-talking and driven grads and give them some of the incredible opportunities he’s had. Over the past three years Matt and his co-managing director Jon Hughes have built a team of people that they’re incredibly proud to represent. Some of their major achievements are winning PRCA 2008 International Agency of the Year and being named one of the best places to work in Britain. 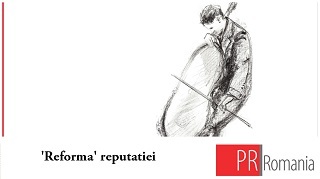 Interview by Dana Oancea, PR Romania.